Mahlo manufactures systems to measure on-line the following parameters of a non-woven web basis weight, thickness, moisture, coating add-on, web temperature, web width and web color. MAJIQ Inc. is a leader in enterprise software and services for the pulp, paper, and nonwovens industry. MAJIQ develops software products including sales order processing, planning & scheduling, production & quality, transportation management, warehousing, and business intelligence. Near Market Telephone Exchange, Ring Rd. STERS conducts degree diploma and certificate courses in Textiles & Garmenting and conducts Research & Development studies related to the industry. I am dedicated to supporting companies with in-depth production, market and technology research. My reports utilize statistical research, computer screening, operations research and data visualization to convey complex patterns in various market segments. I also use predictive science, risk analysis and modeling to optimize the markets and processes studied. Using business intelligence, to mine data to support the report findings. In the past, this was commonly known as forecasting or predictive science however, internet advancements and business intelligence tools comprising of structured and unstructured data (e-mail, word documents and cloud-based communications) have grown predictive science to a new level of sophistication. I provide reports with charts, graphs and other visuals that you can use for presentation materials within your management group. My reports conceptualize the data in a form that can be used by every member of your team to get to the heart of the statistical and predictive message. Business intelligence and years of production experience are tools used to mine data to support report findings. Process analysis is one of my key strengths. I have been very successful at auditing existing non-woven processes to improve performance by as much as 40% and simultaneously achieving significant quality benefits. Gaining clients more satisfied customers, higher sales volumes and profit margins. I am certain that you will like my presentation style and that you will like my simple approach to solving complex problems. Clients also find that a non-threatening style of personal interface is a comfortable and welcome experience. Martex produces cotton and synthetic fiber blends for use in nonwoven and airlay applications including automotive, consumer wipes, roll goods for filtration and geotextiles as well as apparel. Massman Automation Designs, LLC offers 21 years of building automated and semi-automatic filter assembly equipment. The core of our business has been in end pleat seaming with metal clip, ultrasonic weld, and hot melt; as well as end capping with a variety of methods including embedding, molding, ultrasonic weld and adhesives. We provide a turnkey solution for your complete filter assembly line with standard and custom solutions which include pleating, assembly, packaging, and palletizing as well as the use of vision aided robotics. McAirlaids produces absorbent airlaid material without any binders or glue. MDI is ISO 13485:2016 and FDA registered for medical device assembly and packaging. We offer the highest quality of contract manufacturing services for medical market customers. MDI's production services facility is over 60,000 SF, with options to add additional space to support growth. The space is ideal for FDA Class I and Class II medical devices and for companies looking to outsource medical devices sub-assembly, kitting, assembly, packaging, testing and rework services. Advising on fiber, nonwoven and fabric design and process development; primary expertise in hygiene and absorbent or barrier applications as well as sustainable feedstocks, process optimization, control and modeling. Sell and service nonwoven fabric testing equipment. Also sell blotter paper for various test methods. Michelman provides film formers, lubricants, binders and surface modifiers which improve the handling assembly & performance of fibers and non-wovens, including glass carbon, polymeric and natural fibers. Micrex Corporation is the developer of an enabling technology which imparts properties of softness, extensibility, conformability, stretch, drape, hand, absorbency, bulk and decorative effects to nonwovens, films, textiles, papers, and composites. This technology which is embodied in an expanding series of machine configurations known as Micrex®/Microcrepers™ -- allows companies to dramatically expand the use and application for traditional as well as new sheet materials. Supplier of filtration roll goods for dust collector & filter press applications. Processing aid for processing nonwoven roll goods. Functional additive for polypropylene and polyethylene polymers. MiniFIBERS provides synthetic fibers and pulps to all facets of the nonwovens industry. Our extrusion facility produces multi-filament yarns for the textile, composite, and filtration industries. Mobi-Air, your air handling specialist, supplies safe high performance air-handling systems including tradtional drum filtration technology and the next generation Mobi-Flex (TM) technology. Diaper Recycling Technology is a technology company solely focused on advanced diaper recycling solutions. Mogul Tekstil San. Ve Tic. Ltd. Sti. PP Spunbond, Pet Spunbond, Spunlace (PES, VIS, PP, Cotton, Pla, etc. ), Meltblown (PP, PBT, TPU, PLA, Pulp), SMS, extrusion coated fabrics, Peva Film, Spill control products. Needlepunch manfucaturer and spunbond consumer. Near-infrared moisture detection sensor for any product. Sensor is non-contact, online system with one-time calibration and zero maintenance. Monadnock Non-Wovens was established in 1998 to manufacture non-woven material for the fast growing filtration, facemask, healthcare, automotive, appliance and consumer markets. It supplies non-woven roll goods media to converters around the world using advanced fiber technology to meet global standards. 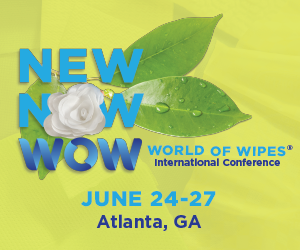 MNW has been a member of the Association of the Nonwoven Fabrics Industry (INDA) since inception. Associate company Mondi Ascania Aschersleben is a Nonwoven Producer/Supplier of Carded Thermal Bonded Nnwovens and Carded Air Through Bonded Nonwovens (incl. Polypropylene Staple Fiber Production) used for Absorbent Hygiene (Adult Incontinence, Baby Diapers or Training Pants, and Feminine Hygiene) and Wipes Spunlaced Nonwovens (SPC) used for Wipes. Intellectual property law firm with an emphasis on patent law offering legal services in acquiring, protecting, and exploiting patent assets.